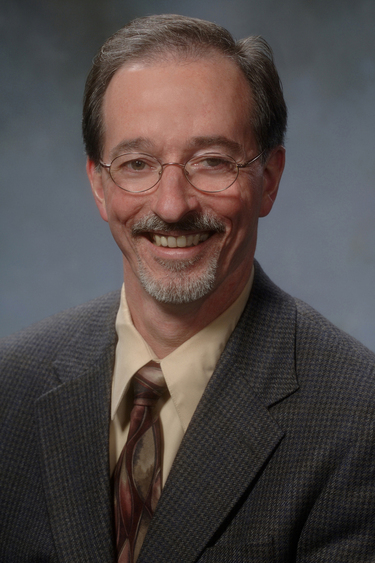 Dr. Tom Freeland grew up on the Ohio River amidst the coal and steel industries near Wheeling, WV. After a failed attempt to obtain employment with the railroads that served these industries, he attended West Liberty State College in West Liberty, West Virginia, graduating with a Biology B.S. in May 1980. He also became a classical guitarist during my years at WLSC. After working with the EPA, then as a crisis counselor at a psychiatric hospital (also part-time as a gymnastics coach and as a musician), Freeland entered the West Virginia University Graduate Program in Genetics in 1984. Working with Mike Miller and Jeannine Strobl, he published in the area of DNA damage and repair, then worked on cloning and characterizing the gene regulatory sequences found in the rat Growth Hormone gene. Freeland earned the M.S. in Genetics and Developmental Biology in August 1988. He continued working with Dr. Strobl for his Ph.D. work, and earned the Ph.D. in Pharmacology and Toxicology at the West Virginia University School of Medicine, December 1991. During this time he married Denise Hough (WVU Journalism B.S., English B.A.). Dr. Freeland then became a Post-doctoral Scholar in the Department of Biochemistry and Molecular Biology, Penn State University. Under the inspiration of Reg Deering, one of the founders of the field of genetic toxicology, he engaged in research projects using the simple (and charming!) eukaryote Dictyostelium discoideum. With Reg, he published and presented papers on DNA damage and repair in the nuclear and mitochondrial genomes, as well as in individual genes. He also successfully cloned and sequenced two DNA repair-related genes. In the Department of Anthropology at Penn State, the developmental and evolutionary geneticist Ken Weiss needed someone to map a large chromosomal region in the mouse, so he joined that lab for 4 months, and published with them a paper on the mammalian dlx genes. At that time, Dr. Freeland accepted a position at Walsh, and has been happily engaged as a professor of Biology ever since. He is a scientist who loves to talk about science and work with undergraduates, and this is the perfect place for all three endeavors. The Freelands now live in Minerva and have two excellent boys; Conor (born 1992) and Duncan (born 1996). They are involved in various musical activities, inidividually and as a family. He put his biological skills to practical use in the making of beer and mead, receiving generally positive comments from beer-knowledgable friends. He is still pursuing his interest in mountain biking, and have recently started the study of karate, because of his belief that exercise is the best lifestyle change that one can make to ensure good health and a long life. The students in Dr. Tom Freeland’s class are helping to redefine the national educational experience in science bioinformatics classes. As the Walsh Director of Bioinformatics, Dr. Freeland was recently selected to participate in the prestigious U.S. Department of Energy (DOE) 2012 Joint Genome Institute (JGI) Undergraduate Research Program in Microbial Genome Annotation. 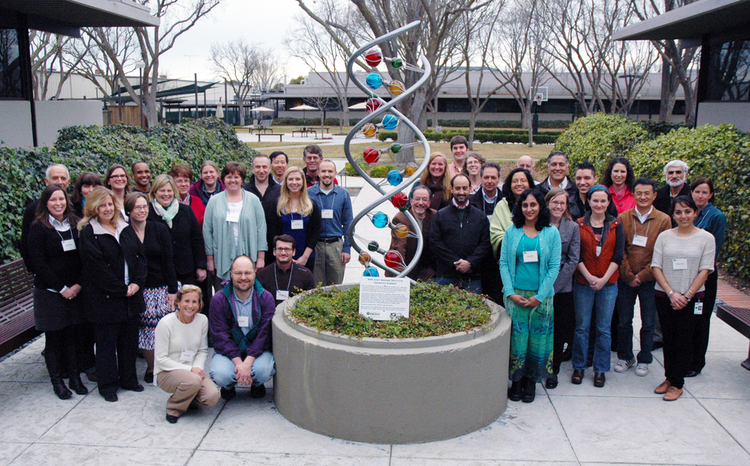 Walsh was one of only 26 teams from a full range of undergraduate bioinformatics institutions invited to the prestigious DOE Joint Genome Institute in Walnut Creek, CA. Walsh Associate Professor of Biology Dr. Darlene Walro also attended the meeting. Supported by the Office of Biological and Environmental Research in the DOE Office of Science, the DOE JGI enables scientists from universities and national laboratories around the world to probe the hidden world of microbes and plants for innovative solutions to the nation’s major challenges in energy, climate, and environment. The “Interpret a Genome” Program provides students in colleges and universities with access to recently sequenced microbial genomes, such as those of organisms from little-known branches of the Tree of Life selected as part of the DOE JGI’s Genomic Encyclopedia of Bacteria and Archaea (GEBA) project. The students analyze and annotate the genomes in the context of their own class work, gaining hands-on knowledge of genomics and bioinformatics. While a significant portion of the DOE JGI's projects are related to the discovery of alternative fuel sources, Dr. Freeland notes that the benefits resulting from this type of research could potentially reach beyond energy. Walsh students will focus on two genome categories. The first will be to study human pathogens which could result in new discoveries on how proteins become targets for drugs. Dr. Walro’s microbial expertise afforded students the opportunity to focus on the energy question and research microbial organisms for fuel sources. This collaboration between JGI, undergraduate educators and students is also a response to a national call to reform undergraduate life sciences education through research experience. The workshop provided an opportunity for JGI scientists and participants from undergraduate institutions across the country to collaborate and discuss new ways to implement genomics and bioinformatics at their respective institutions. In addition, each participant received specialized training on how to teach the highly detailed annotation genomics/bioinformatics tools to their students. These are tools used by “real-world” researchers, not just student tools. Armed with the knowledge he gained at the workshop, Dr. Freeland is leading Walsh students in the analysis of metabolic pathways of microbial organisms. The goal of the program is to support the use of annotation to teach curricular standards in new ways. In turn, the undergraduate collaborators provide the JGI institute with valuable new annotation data, which assists it in filling in gaps in sequencing research. As their annotation platform, students will use the Integrated Microbial Genomes Annotation Collaboration Toolkit (IMG-ACT), a wiki/Web portal fusion that lets them work with existing genome datasets and record their discoveries. The platform is the result of collaboration between DOE JGI’s education program and faculty members from several universities around the country. Aside from access to genome data and “virtually endless” research possibilities, IMG-ACT offers students and their teachers access to bioinformatics databases, instructor course management and student notebooks. Ultimately, the program’s goal is to allow students nationwide to annotate GEBA genomes while learning about genomics and bioinformatics. Students are expected to begin their work in the 2012-2013 academic year, but Walsh students are starting immediately. "The Genes 'R' Us Fallacy," "A Scientist Responds to Some Creationist Claims," "What is Science?" in Ways of Seeing: foundations of Interdisciplinary Study.Tapestry Pr., 1999. "DNA Repair Systems in Dictyostelium Discoideum." West Virginia University Genetics and Developmental Biology Program. June 1998. Freeland, Thomas M., Robert B. Guyer, Angela Z. Ling and Reginald A. Deering. "Apurinic/Apyrimidinic (AP) Endonuclease from Dictyostelium Discoideum: Cloning, Nucleotide Sequence and Induction by Sublethal Levels of DNA Damaging Agents. "Nucleic Acids Research 24.10 (1996): 1950-1953. Nakamura, Shuju, David w. Stock, Karen L. Wydner, Jacques A. Bollekens, Kenichi Takeshita, Brian M. Nagai, Shigeru Chiba, Toshio Kitamura, Thomas M. Freeland, Zhiyong Zhao, Jun Minowada, Jeanne B. Lawrence, Kenneth M. Weiss, and Frank H. Ruddle. "Genomic Analysis of a New Mammalian Distal-less Gene: DIx7. "Genomics 38 (1996): 314-324. Mauldin, Stanley K., Thomas M. Freeland and Reginald A. Deering. "Differential Repair of UV Damage in a Developmentally Regulated Gene of Dictyostelium Discoideum." Mutation Research, DNA Repair 314 (1994): 187-198. Freeland, T.M., R.B. Guyer, and R.A. Deering. "Exploring the Induction of DNA Repair in Dictyostelium Discoideum by mRNA Analysis, Cloning, and PCR. "International Dictyostelium Conference. University of California, San Diego. Aug. 1994. Freeland, T.M. and R.A. Deering. "Bleomycin-induced single- and double-strand breaks in extrachromosomal, mitochondrial, and nuclear main band DNA in Dictyostelium discoideum." Chemicals, Mutations, and Cancer, Special Meeting. American Association for Cancer Research. Banff, Alberta, Canada. Dec. 1992. Thomas, M.J., T.M. Freeland, and J.S. Strobl. "Z-DNA Formation in the Rat Growth Hormone Gene Promoter Region." Molecular and Cellular Biology 10 (1990): 5378-5387. Droy, B.F., M.R. Miller, T.M. Freeland, and D.E. Hinton. "Immunohistochemical Detection of CC14-induced, Mitosis-related DNA Synthesis in Livers of Trout and Rat." Aquatic Toxicology 13 (1988): 155-166.